I love vintage travel posters. I have two in my home at the moment, purchased from Travel Posters Online, a Bangor one in my living room and a Portrush golfing print in my bedroom. Artist JS Kelly is keeping the tradition alive with simple yet beautiful designs of local landmarks and towns. 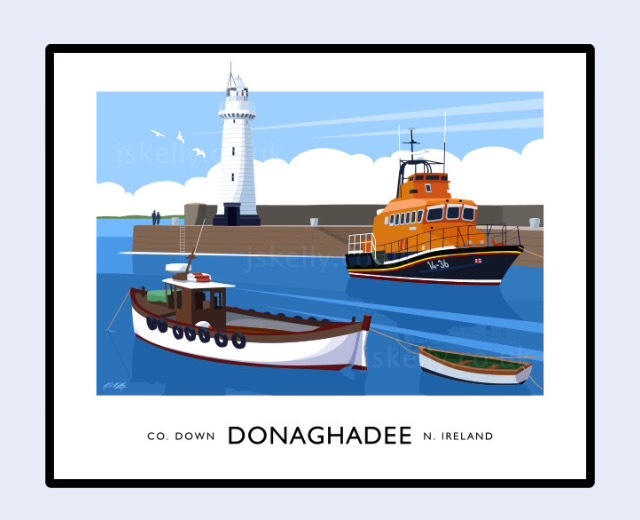 There are designs of places all over Ireland, but it's the Northern Irish prints that I'm sharing with you today. There are illustrations of well loved destinations, home towns & tourist attractions. 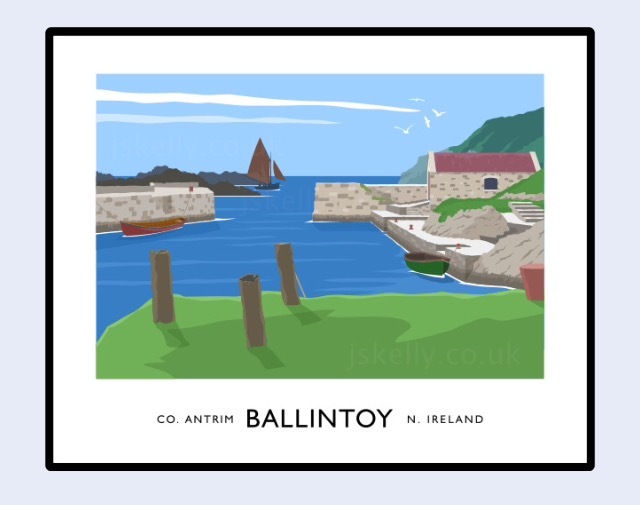 You can search for a design of your home town, but if you aren't from NI you still might like these prints. There are several artworks of Game of Thrones filming locations, including the Dark Hedges and Ballintoy harbour. If you've taken the Game of Thrones location tour, you may recognise some of the other Antrim coast and north coast locations. I'm definitely planning on buying one or more of JS Kelly's prints, it's just a matter of trying to decide which ones! They would also make great Christmas gifts, and if you buy now there is an offer to get 20% off when you buy two or more, so you can get two 50x40 prints for £40. If you follow me on Snapchat you might recognise the station house at Helen's Bay from my walks.